It looks as though the great Ewan McGregor will finally get a chance to play his iconic role as the legendary Star Wars Jedi, Obi-Wan Kenobi again. According to Star Wars News Net, Lucasfilm and Disney are planning on bringing the beloved character to the small screen with a six-part limited series centered on the character sometime between the events of Star Wars: Revenge Of The Sith and Star Wars: A New Hope. The time period between episodes three and four with concern to Kenobi has interested fans for years. With only small details and some key story points highlighted in novels, comics, and animated series. Fans have longed to see the live-action version of Kenobi finally finishing off Maul, while looking over a young Luke Skywalker on Tatooine. Not to mention him having to deal with the wretched hive of scum and villainy that exist on the two sunned desert planet controlled by the Hutts. The series would be released on Disney’s brand new Netflix style streaming service set to debut late 2019, officially titled Disney Plus, the service will start off $4.99 a month. The Mandalorian will be the first live-action Star Wars series ever released and barring any unforseen terribleness, the series is expected to be a massive hit with fans and film/TV lovers alike. Are you excited for the Obi-Wan Kenobi spin-off series? Let us know your thoughts in the comments below and share this article with all your awesome friends and family. Thanks for stopping by! 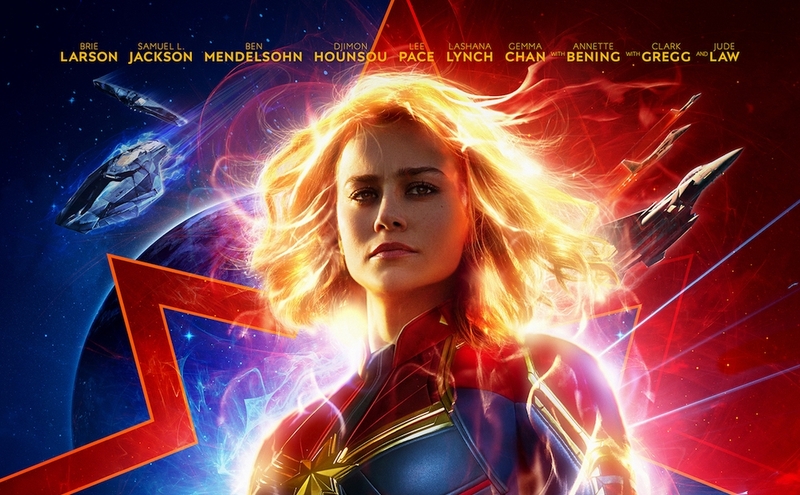 The New 'Captain Marvel' Trailer Is A Must See! Check It Out Right Here! Captain Marvel arrives in theaters on March 8th, 2019. Check out the badass new trailer below and share it with your friends! This is about as perfect casting as you could possibly imagine for a series that sounds as badass as The Mandalorian does. Wow! Pedro Pascal has been one of my most closely watched actors over the past few years. He steals pretty much everything he pops up in and I suspect he’ll probably breakout to mainstream audiences as Hollywood’s next major film star following the almost guaranteed success of this series. The big question now, is he or is he not a descendant of Jango and Boba Fett. It’s never been mentioned in canon that Boba had any offspring, but this casting would certainly allude to their potential relation. The 10-episode first season will reportedly have a combined budget of $100 million, making each episode worth $10 million. The Mandalorian will is set to hit Disney’s new streaming service sometime in 2019. However, we’re actually gonna bet that we won’t be seeing this series until after J.J. Abrams final Star Wars: Episode IX hits theaters in December 2019. Let us know your thoughts on the brilliant casting of Pedro Pascal in the comments below and as always, thanks for following ECMOVIEGUYS.